Situated in Virpazar, this guesthouse is within 20 mi (32 km) of Sutomore Beach, Susanj Beach, and Trg Republike. Millennium Bridge and Podgorica City Stadium are also within 20 mi (32 km). Situated in Virpazar, this hotel is within 16 mi (25 km) of Sutomore Beach, Susanj Beach, and Buljarica Beach. Islamic Cultural Center and Old Olive Tree are also within 20 mi (32 km). Located in the heart of Podgorica, this luxury hotel is within a 10-minute walk of Trg Republike, Millennium Bridge, and Podgorica City Stadium. Hram Hristovog Vaskrsenja and University of Montenegro are also within 1 mi (2 km). 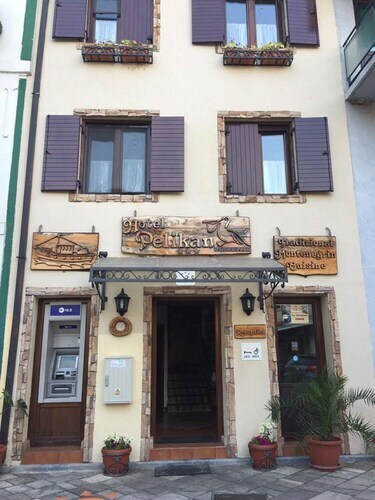 How Much is a Hotel Room in Virpazar? Hotels in Virpazar start at $52 per night. Prices and availability subject to change. Additional terms may apply. As there are currently no Travelocity-accredited Virpazar hotels options close by, we offer no less than 8 places to rest and relax that are just 10 miles (16 kilometers) from Virpazar. The closest Travelocity-listed accommodation is the Hotel Splendid Conference and Spa Resort, Montenegro, which lies 12 miles (19 kilometers) from the business district of Virpazar. As an alternative, you might think about the Monte Casa Spa & Wellness, located in Montenegro Coast, which is 8 miles (14 kilometers) from the city center. Have a look at the Avala Resort & Villas as well as the Maestral Resort & Casino. The Avala Resort & Villas is located 13 miles (22 kilometers) away from the main part of Virpazar. The Maestral Resort & Casino, is located just 10 miles (17 kilometers) away. 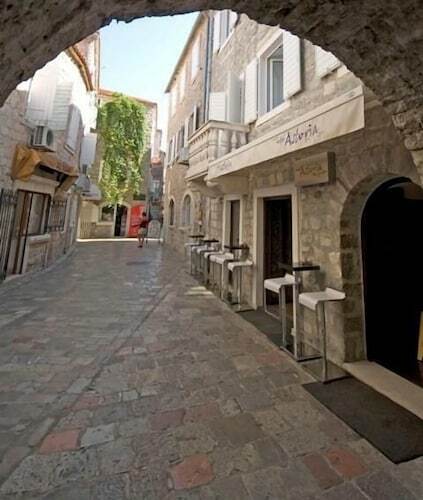 The Hotel Petrovac as well as the The Queen Of Montenegro are two other Travelocity-listed options in Virpazar. Podgorica is 17 miles (27 kilometers) northeast of Virpazar and is where you'll find Delta City and Millennium Bridge. The Podgorica and Hotel Ziya are just some examples of the great long and short-stay choices in Podgorica. 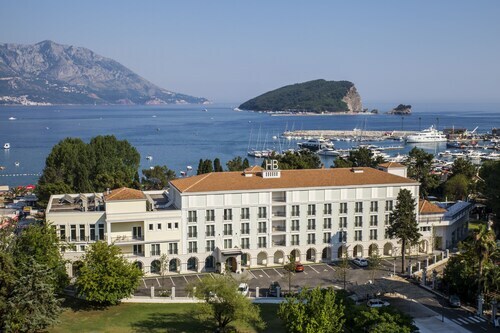 14 miles (22 kilometers) west of Virpazar, you'll also find Budva, which boasts the Hotel Montenegro Beach Resort and Astoria Hotel Budva - Montenegro. The Jaz Beach and Becici Beach are popular points of interest to experience when in Budva. Just because you and your family are on vacation in Montenegro, who says that you can't indulge in your love for sporting events. Podgorica City Stadium is situated 16 miles (26 kilometers) to the northeast of Virpazar. Those sports fans hoping to book Travelocity-listed hotels near to the action will love the Hotel Alexandar Lux or the Ramada Podgorica. Search for Travelocity's excellent Virpazar travel page and learn about the numerous cultural attractions that this area boasts. Overall the hotel staff was very nice and helpful. The staff was amazing and very helpful. The Wi-Fi was spotty and did not work at all in our room the last few days we were there. The staff tried to re-set it, but it still didn't work. The housekeeping staff was very helpful, efficient and accommodating. Our first room was clean and very nice, but the air conditioning gave a very bad smell (moldy smell). They apologized and changed us to a different and larger room the next day. In both rooms I got very stuffed up and a bit sick. When I was outside I seemed to clear up, but immediately got stuffy again when I entered the room. This could be attributed to the air conditioning, the fact that the building was old and in the old city or just allergies. I would recommend this hotel despite getting a bit sick. The food at the restaurant near the beach was great, but the roof top restaurant was very pricy. The views from our room were beautiful despite looking out over another guests patio. The hotel was quiet, clean and nicely upgraded.